I am so thrilled and honored today to have Doreen from Hymns and Verses as our featured guest. I have followed her blog for quite a while and love her style. She has a special talent for taking cast-offs and recreating them into beautiful and interesting pieces that totally reflect her personality. Her home is so warm, friendly and inviting, just like her. If you don't know her you have really missed out. 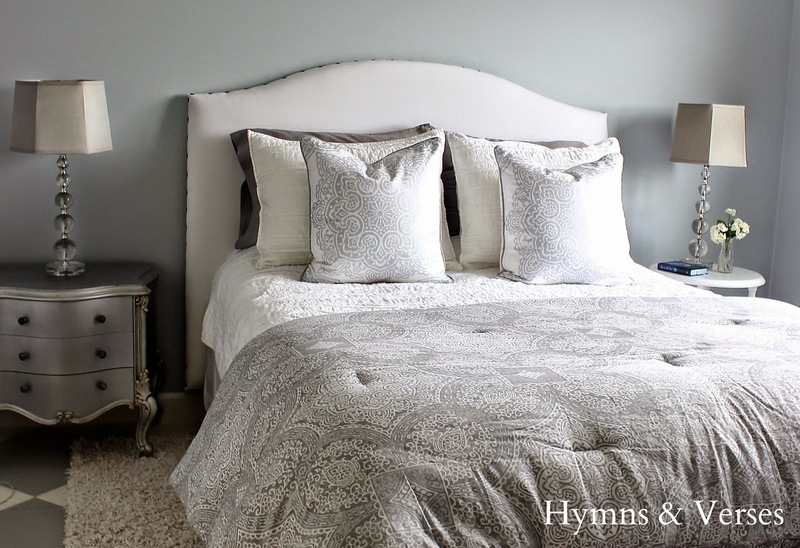 As you will see in today's post, her master bedroom completely reflects her and her style. I love how she pays attention to every single little detail to make a room perfection. I'm so excited to be here today to share my recently updated master bedroom and how I pulled it all together. This room was in need of a major remodel. It had stayed the same for 16 years - basically since we first purchased our home! Many other rooms were updated along the way, but the master bedroom was always on the back burner. For that reason, we began with a blank canvas - seriously, we got rid of everything! We even got a new mattress set! The rest of my home is pretty neutral in shades of gray and white, but I wanted to bring some color into our master bedroom. I'm not normally a blue person, but when I found a comforter at HomeGoods with shades of cool blue, gray, and white - I fell in love! I knew that this would be my color palette. The first thing we did was paint. I took one of the pillow shams to my local paint store and purchased a few samples to bring home and try in the room. This is a step I would highly recommend when choosing paint - put some samples on the wall and look at them throughout the day. It's amazing how a color is changed by the natural light in the room. 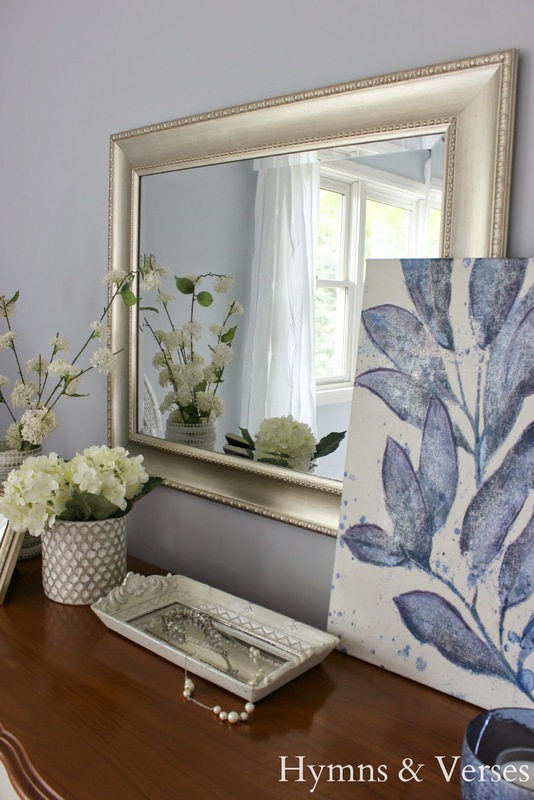 I decided on Benjamin Moore Silver Cloud, which is a light, silvery blue. We removed the carpet from the room and I was determined not to bring it back in! 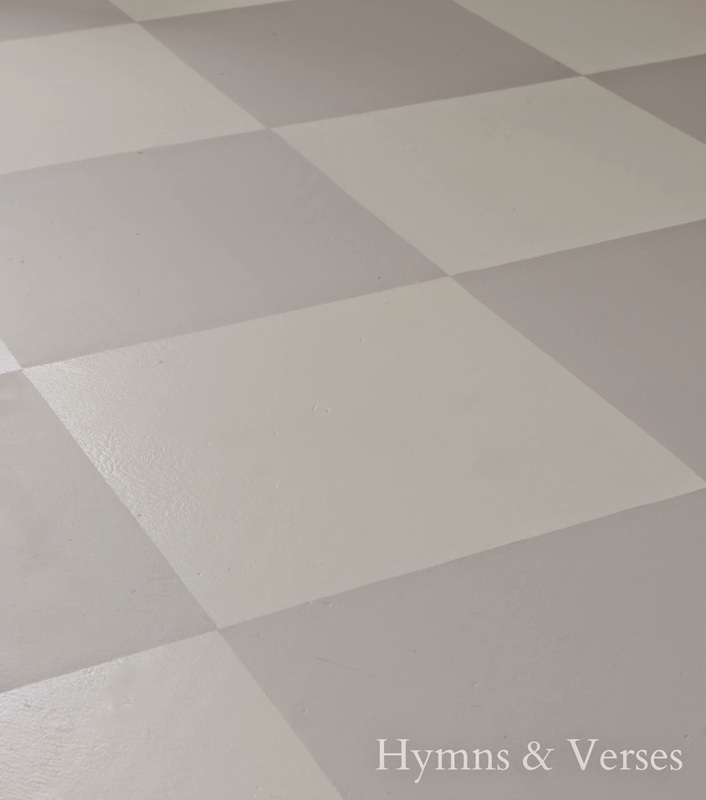 I had seen one of my favorite bloggers, KariAnne of Thistlewood Farms, paint her subfloor and decided that if it was good enough for her, it was good enough for me! I even copied her diamond pattern and love it. It's the perfect "for now" solution. Then I picked up a fluffy, off white area rug to cover most of the floor. Next up was furniture. Like I said earlier, we literally got rid of everything! 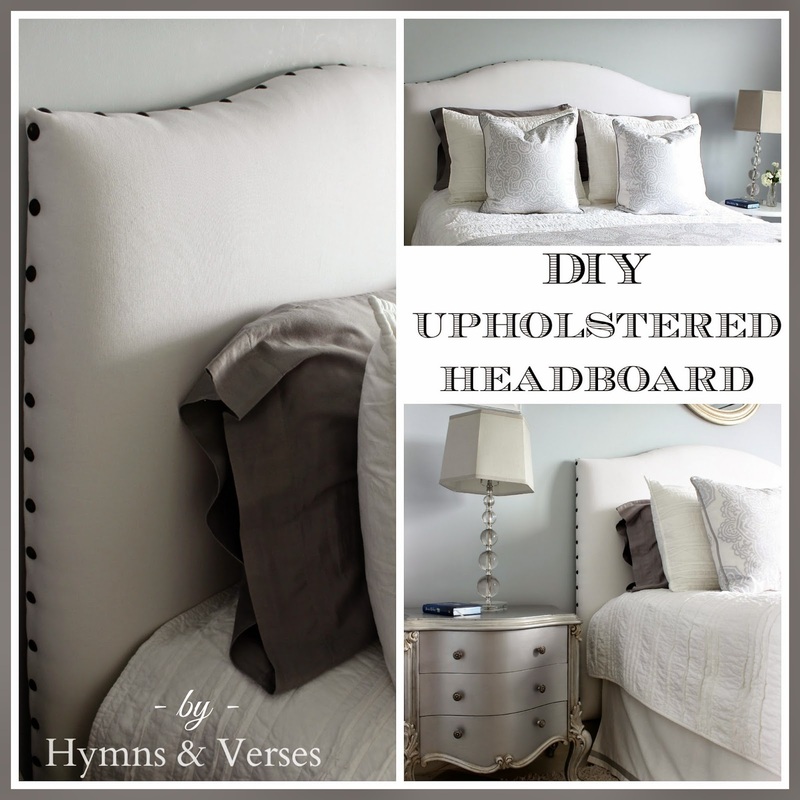 I knew I wanted an upholstered headboard and after looking at the ones at my local Pottery Barn Outlet, I decided that this was something we could do ourselves and save a lot of money. 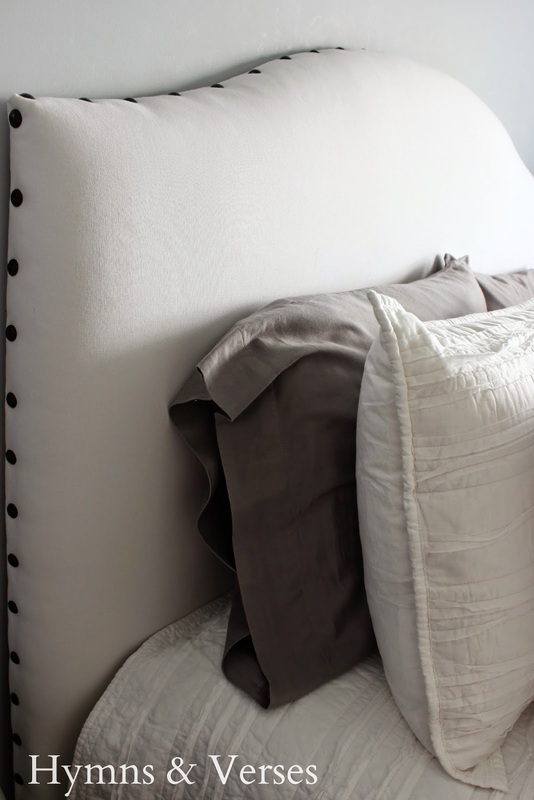 So, we made our own DIY version of the Pottery Barn Raleigh Upholstered Headboard with nailhead trim. 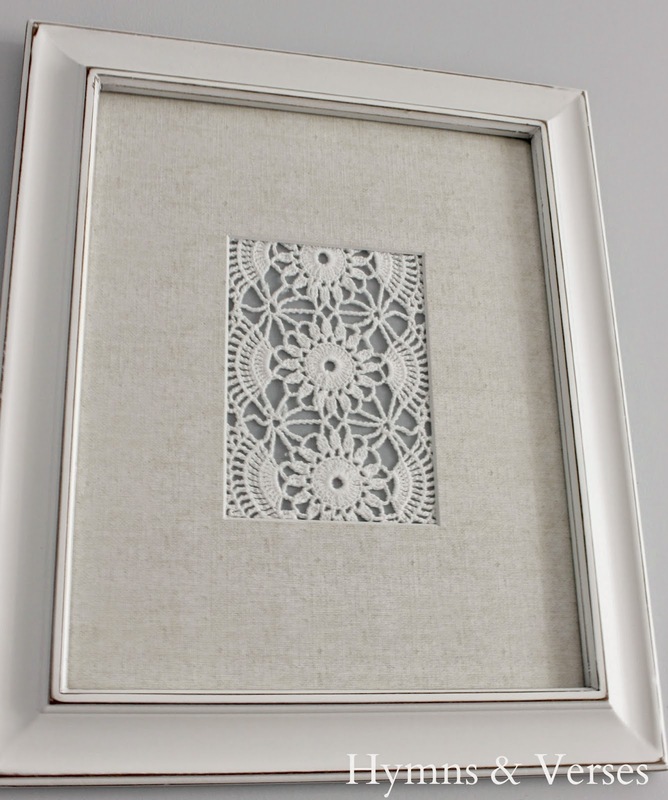 I used white canvas instead of a natural linen because it worked better with the color palette in the room. 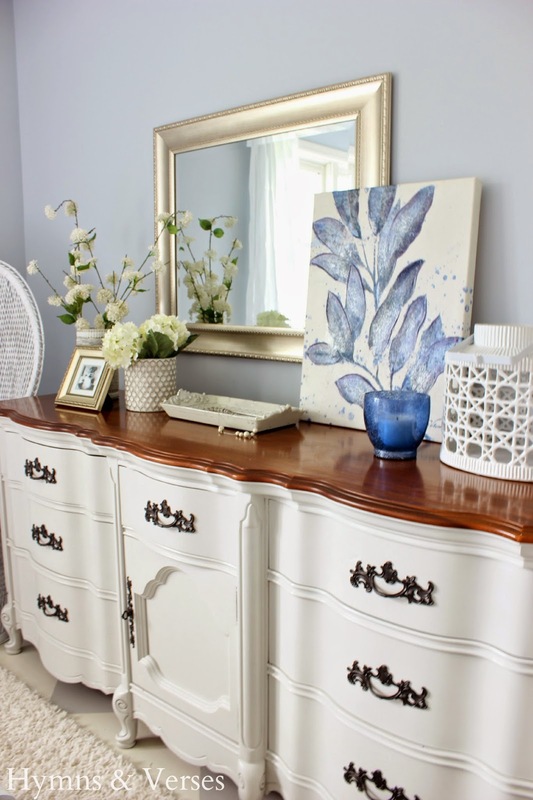 I also visited my local auction and found a large French provincial dresser that was perfect for the room. I did paint the base a soft white, but left the top intact as it's finish was in perfect condition and I liked the contrast. At the same auction house, I picked up this Frenchy nightstand. But, it didn't look this way when I bought it! You can see the before HERE! 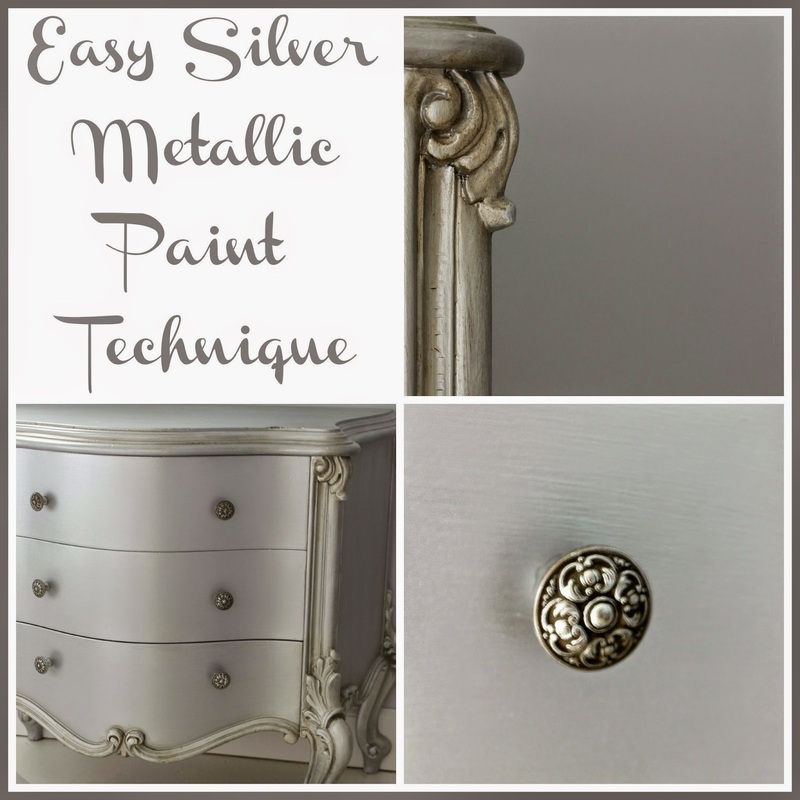 I painted it with the best metallic paint I've ever found - Modern Masters! For the room's lighting, I picked up some lamps from HomeGoods and the capiz shell chandelier was a bargain at the Pottery Barn Outlet store. I knew I wanted an accent chair in the room, but it had to be small. I looked for many weeks and just wasn't finding what "I thought" I was looking for. Then I spotted this wicker Peacock chair at a local thrift shop. It was $15 and after looking at it a while, I decided it was worth bringing home and trying it in the space. I gave it a coat of white spray paint so it would match the decor and added a few throw pillows. 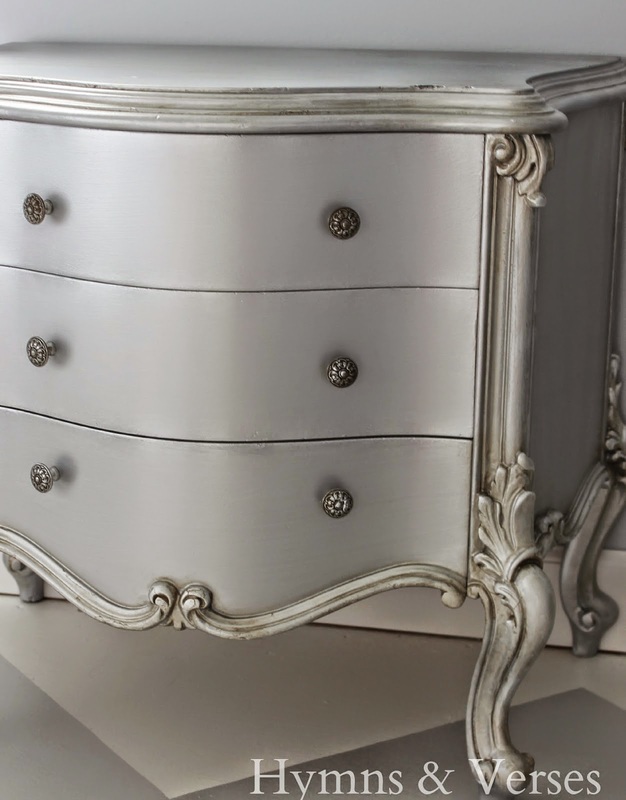 I know it's kind of random with the French Provincial dresser, but I love it! The one thing that remained in the room was the cedar chest. I made a slipcover for it with fabric from a shower curtain I found at HomeGoods for $11. The pin tuck curtains are from West Elm. 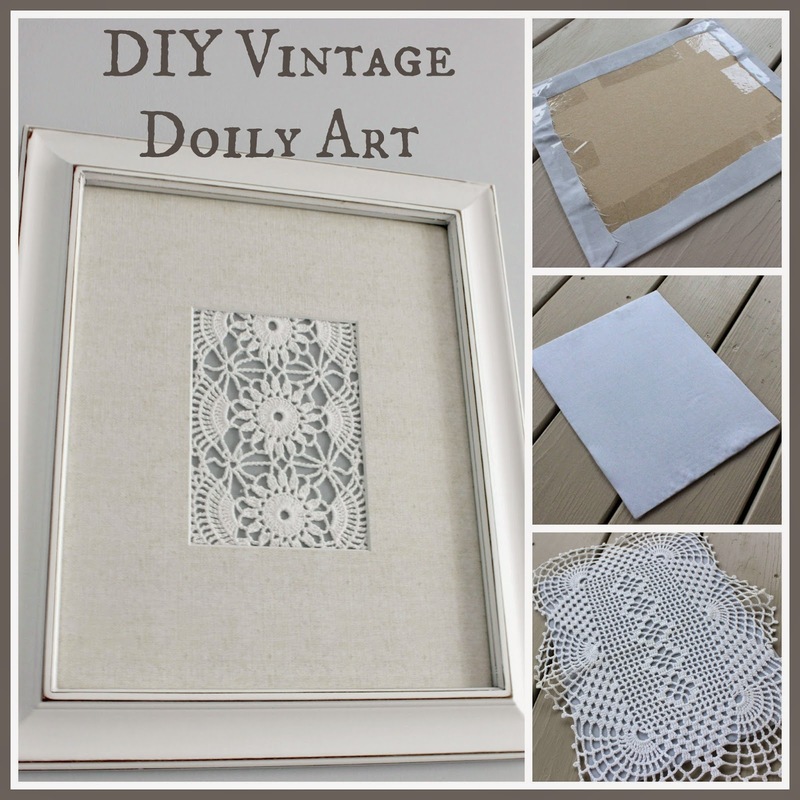 Now for the accessories, I made some vintage doilies into instant artwork for each side of the bed. 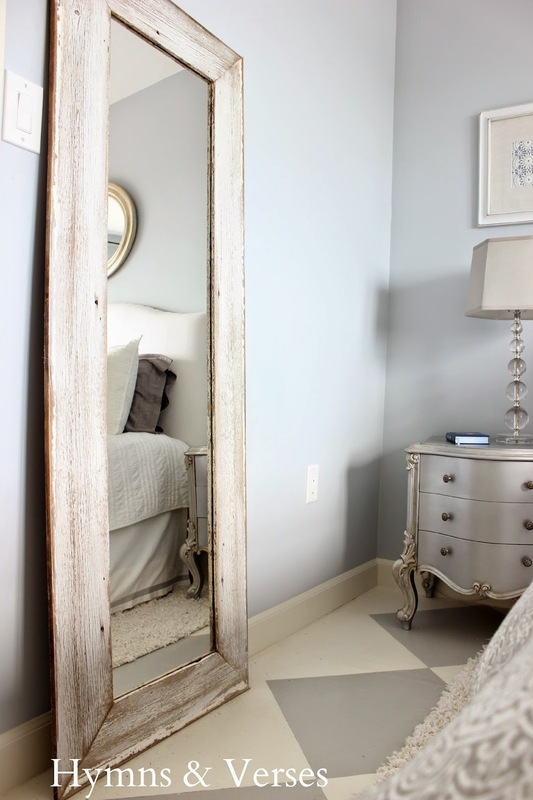 My husband made me a floor mirror from old, whitewashed barn siding and it is propped against the wall. The remainder of the room's accessories were collected over time - mostly from HomeGoods. Now, because most of this room was done DIY, it did take time, so I had plenty of time to shop for accessories. So, each time I went to HomeGoods, I would look for things that I thought might work in the room. I ended up returning some things, but HomeGoods is great about returns! It's always best to bring an item home and try it in your space. If it just doesn't work, return it! 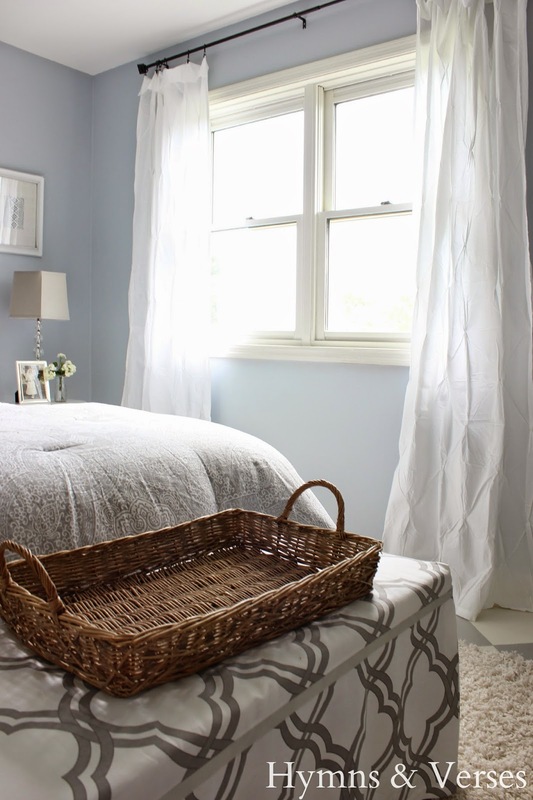 If you'd like to see the "how to" details for some of the projects featured in my master bedroom, I've provided the links below. Thank you, Marty, for having me here today! Isn't this room stunning. Thanks so much Doreen for giving us a tour and showing us how you pulled it all together. If you want to see more, be sure to go over and click that follow button, you will love how she pulls her whole house together. I love everything about this room, it's beautiful...and I'm so impressed with those floors! Thanks for featuring such a talented blogger Marty. What a wonderful feature! I love Doreen and her floor looks amazing! The gray is so pretty! WOW!!! I luv it. Everything is so beautiful . Truly a relaxing bedroom space filled with luvly things. What a beautiful bedroom. It looks so relaxing. Beautiful house Marty. You sure pick them! This bedroom is beautiful -- so serene. I would sleep very well in there! I love her blog. She is very talented! Such a beautiful room! 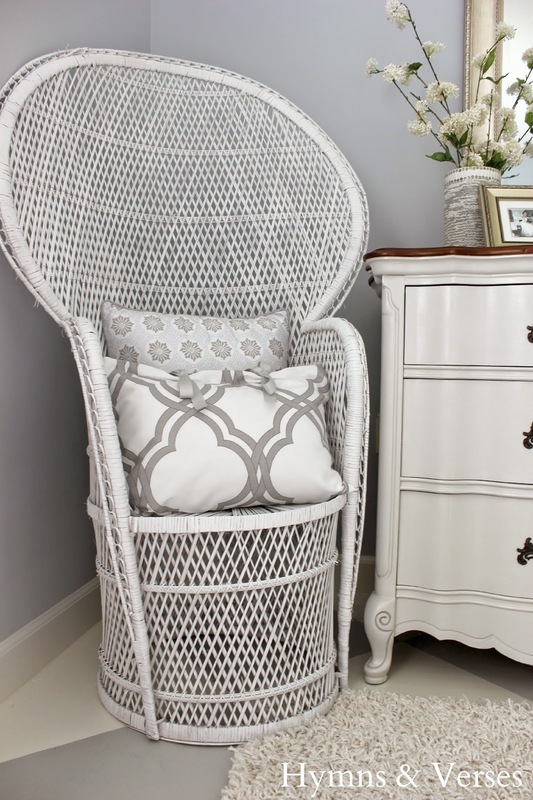 I love how you added that peacock chair into the mix! unexpected but beautiful! What a beautifully appointed room! A professional designer could not have done better! That's exactly why I frequent bloggers. Better than most Home magazines. Thank you, Marty for being thoughtful enough to share some of these brilliant bloggers with so much home decorating talent! You are doing all of us such a service! It's appreciated!! Slipcovering that cedar chest was extremely clever! The whole room is lovely but I am stealing that mirror your husband made! Such a beautiful, relaxing space! I love the colors you chose. Your room is gorgeous!! Absolutely beautiful. Looks so serene and peaceful. I love that you are obsessed with details. It is beautiful and it shows how deliberate you were in all of your choices. 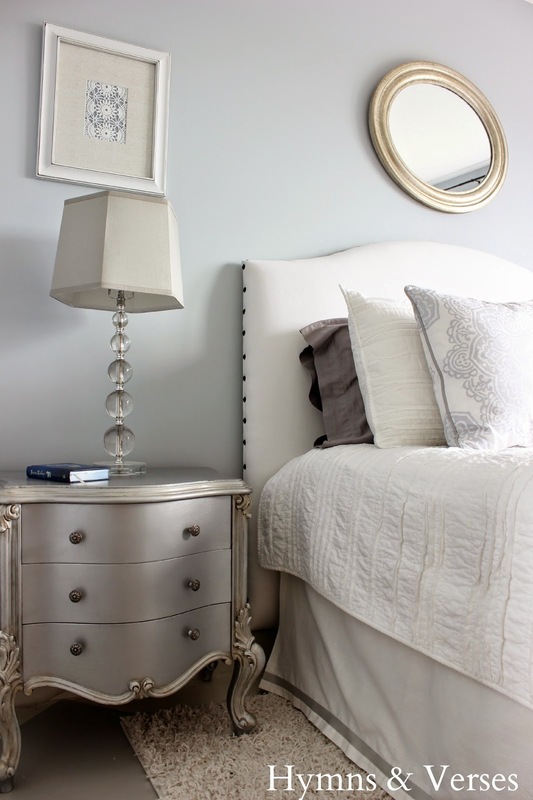 LOVE the metallic nightstand. Ohhhhh how I wish I was crafty! 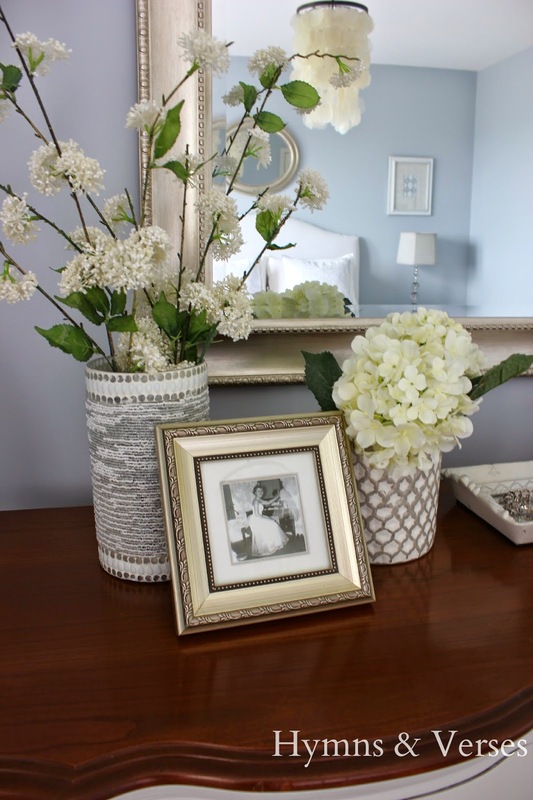 Doreen did a wonderful job making over her master bedroom. I love the color scheme and that floor is gorgeous! Thanks for sharing Doreen's room with us, Marty! Lovely, the neutral color scheme looks so restful. I have a stack of doilies I may frame! What a gorgeous room! She did a beautiful job! I'm featuring it in my Enchanting Inspiration round up tomorrow at Migonis Home!